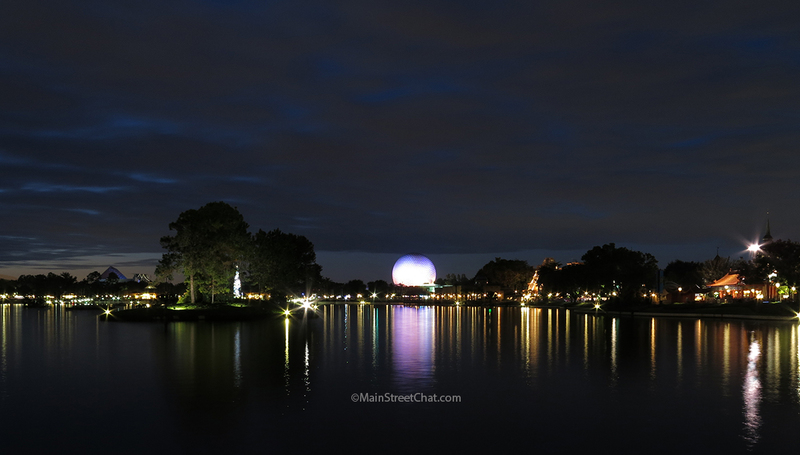 Food and Wine Festival at Epcot is hands down one of the busiest times of the year for the park. It’s a great opportunity to enjoy unique foods and have some spirits, wine, or beer to accompany it. We have a few tips and recommendations for you to make the most out of this year’s festival. 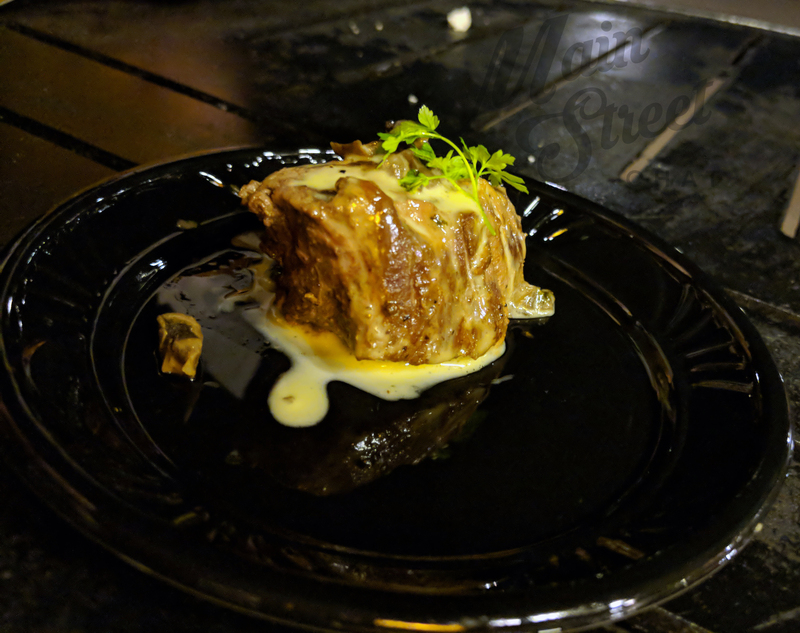 Le Cellier Wild Mushroom Beef Filet Mignon with Truffle Butter Sauce. 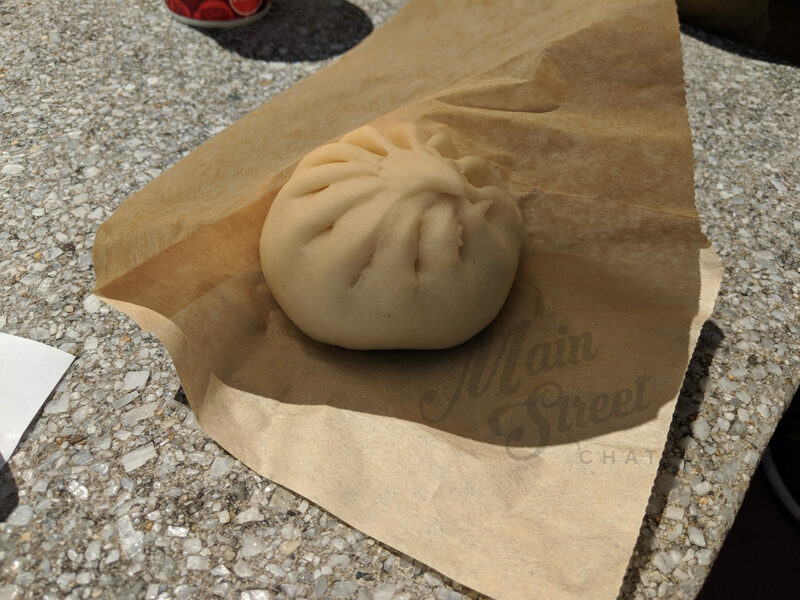 Hands down this was the best thing that we ate at Food and Wine this year. The Filet was melt in your mouth tender and was cooked to a perfect medium. The Truffle butter was the icing on the cake with this and I’m so glad I tried it towards the end of the trip. I probably would have gotten a lot more of this instead of branching out and trying other things. Warm Irish Cheddar Cheese and Stout Dip Served with Brown Bread. Before getting this do yourself a favor and run over to Les Halles and get a baguette. This was the first thing we tried this year and we were talking about it for the rest of the trip. We kept on lamenting that they gave you a huge portion of dip and two tiny pieces of bread. The dip is so deliciously cheesy and tangy you are going to want to soak up every last drop with a nice crusty bread. I am currently searching for a recipe for this it was that good. 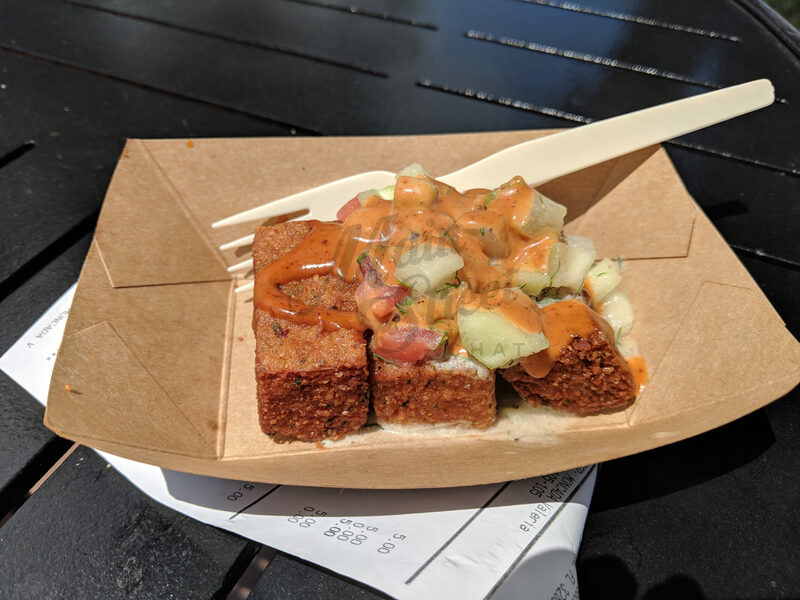 Hummus Fries-I’m always excited to try a vegetarian dish at Disney and these did not disappoint. Squares of compact hummus are deep fried and topped with cucumber, tomatoes, and onions with tzatziki sauce. On the menu it doesn’t state there is also a harissa sauce on top but there definitely is and its bright red to let you know that it’s there. I hadn’t had the opportunity to try these in the past so I’m going to be honest and say I was taken aback by how spicy they were. The serving I got was hot from the beginning and definitely left a lasting tingle in my mouth and on my lips after I was finished. Don’t be afraid to try them though they are delicious. Spicy Roll with Tuna and Salmon with Volcano Sauce. This hand roll was so good and deliciously simple. 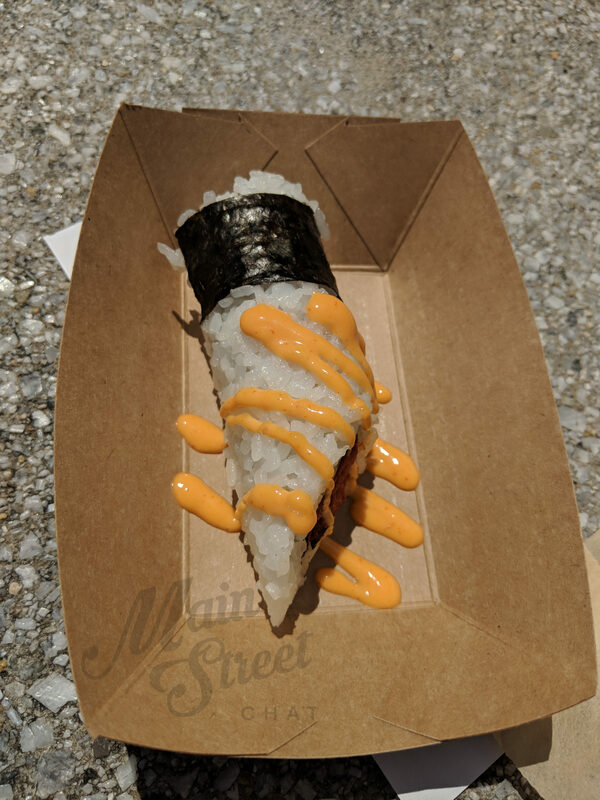 Ground Tuna and Salmon wrapped in sushi rice with spicy volcano sauce. Compared to the hummus fries this wasn’t spicy at all. It was nice and refreshing on a hot day and was packed with a lot of fish. I felt like this was a really good value for six dollars. Teriyaki Chicken Bun with chicken, vegetables and sauce. I know, I know Japan is on our list twice but this bun was AMAZING!!! Seriously, I could have one for lunch and be set for a while. The portion was very generous and the bun was perfectly fluffy and soft. We are suckers for buns in our house and have missed them a lot since moving to Arizona so maybe it’s just nostalgia but we loved this. It’s pretty well known that Food and Wine Festival is going to be packed. Here are a few ways to make the experience more enjoyable. Go in September! School has just started so there are fewer families. Really hot weather also means lower crowds. You’re looking at 90-degree days with 70- 90% humidity. Make sure to stay hydrated and sneak into the pavilions shops to get some much-needed AC. Get a gift card. Using a gift card to budget how much you are going to spend on the Food and Wine offerings is a great idea. Its easy to spend a lot of money quickly. Get there early in the day. Food and Wine Festival is packed in the late afternoon and at night. 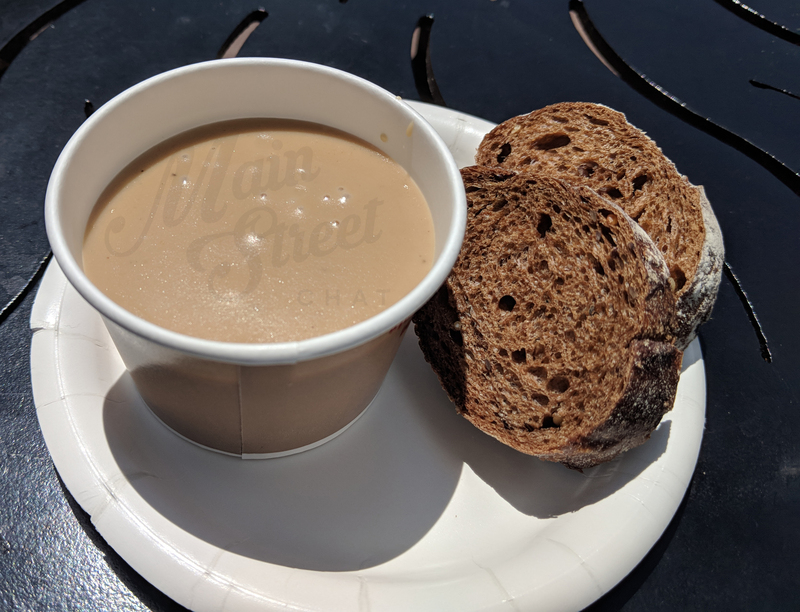 We like to eat a light breakfast and then be at World Showcase when it opens. Don’t Stress about getting it all done in one day. It’s simply not possible there are too many options at Food and Wine! Go easy on the alcohol. Florida is hot and Food and Wine has a ton of alcoholic options but the risk of dehydration goes up a lot when you have been drinking. Make sure to limit your intake and opt for water instead. If you do want to drink we recommend drinking a full water bottle between drinks to keep you from getting dehydrated and feeling crummy the next day. Food and Wine Festival is boring for little kids! We had fastpasses spread out during the day to let Kaitlyn have breaks. She wasn’t willing to try the majority of the food. If you have kids that are adventurous eaters Food and Wine is a great festival for them.